Avery and I dropped off the kids and then went to the hospital to visit D. I had called in the morning and they said he was still there and made no mention of leaving, but he was getting medical transport about 15 minutes after I got there to go back to the nursing home. 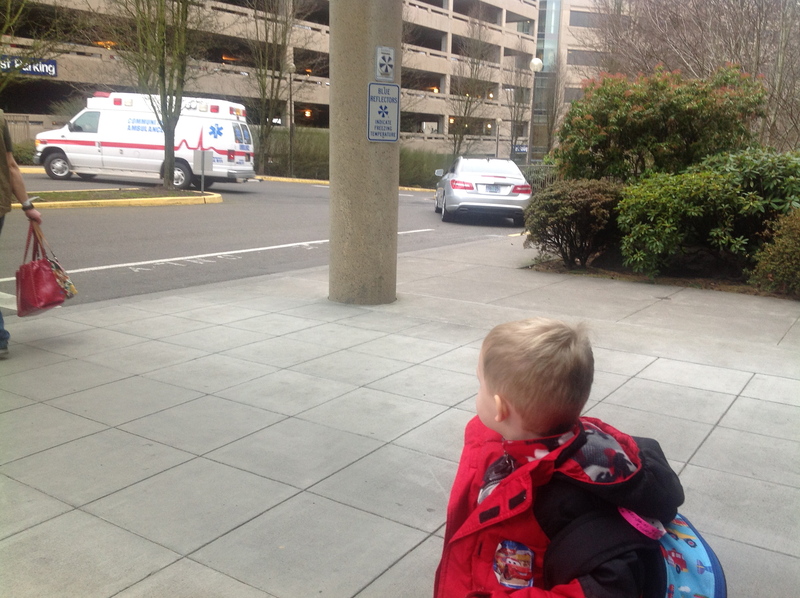 So Avery at like half of D’s breakfast, and then we walked him down to the ambulance and we went back in. Then I decided to put him in childcare there and go have lunch, since he just ate a whole bunch of D’s food. So, after that, we heading back to VH and he played there for about an hour. VH, I did not hear too much about. Aaron made a lot of paper airplanes in Messy Garage. Naim cut fraction pizza in Measure for Treasure. Filmaking confuses me, something about teams and one team is going to document the other team or something. There was talk in Science Olympiad about testing their parachutes from last week out of the windows. But Aaron didn’t want to do it because it was raining and he didn’t want his to get wet. (roll eyes.) Discoverers was Discoverers.